The huge jackpot on offer at the EuroMillions draw on 12th July, 2011 has been won Tonight’s draw produced one lucky jackpot winner who scooped the record breaking €185,000,000! 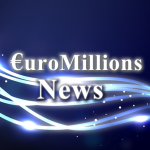 The EuroMillions jackpot was won by a player in the UK who has now taken a number of EuroMillions title. The lucky ticket holder matched all the drawn numbers & the two star numbers to win the prize. Information on the owner of the winning ticket is not yet available. 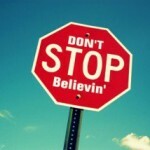 But it has been heard that the winning ticket had been sold in the United Kingdom. The last EuroMillions draw took place on 12th July & numbers were drawn to determine the winners as usual. The drawn numbers were 17, 19, 38, 42 & 45. Along with these numbers two star numbers were drawn. They were 9 & 10. The jackpot winner matched all the five drawn numbers as well as the two drawn star numbers to win the jackpot. Last time someone in the UK won a EuroMillions jackpot was in October, 2010, when a person from the United Kingdom won 113 million pounds to claim the jackpot. It is still not known whether last night’s winner was an individual or a group. Apart from the jackpot, 11 ticket holders won 2,435,077 Euros each by matching all the five drawn numbers & one star number. 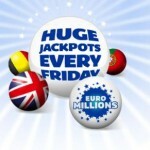 If you want to play & buy EuroMillions lottery ticket, then you can easily do that here in LotteryPros.com. Here you will get EuroMillions lottery tickets and can also keep track of the latest results from EuroMillions draws.